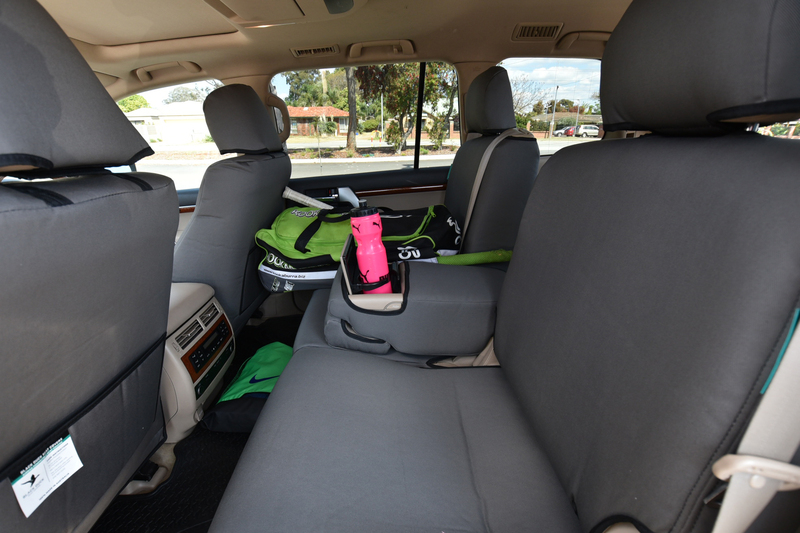 We guarantee you will receive the correct Black Duck seat cover to fit your vehicle when you fill out our online "Confirmation Form". A link to this form is emailed along with your Tax Invoice immediately after your payment is received. 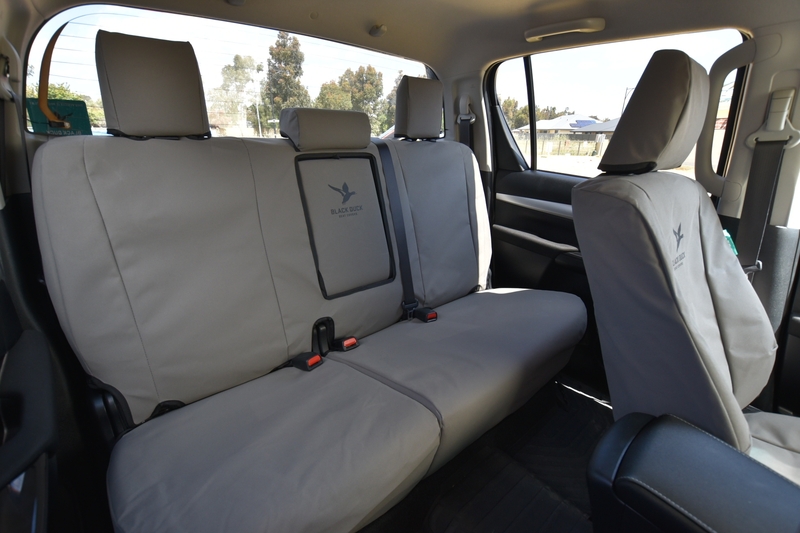 Black Duck™ Canvas or Denim Seat Covers are Custom Tailored and suitable for Toyota Hilux SR5 Utes, we offer fabric and colour selection, the largest range & very competetive prices on Australia's most popular seat covers suitable for Hilux SR5 4X4 DUAL Cabs. Custom Fit - Black Duck Canvas or Denim Seat Covers. 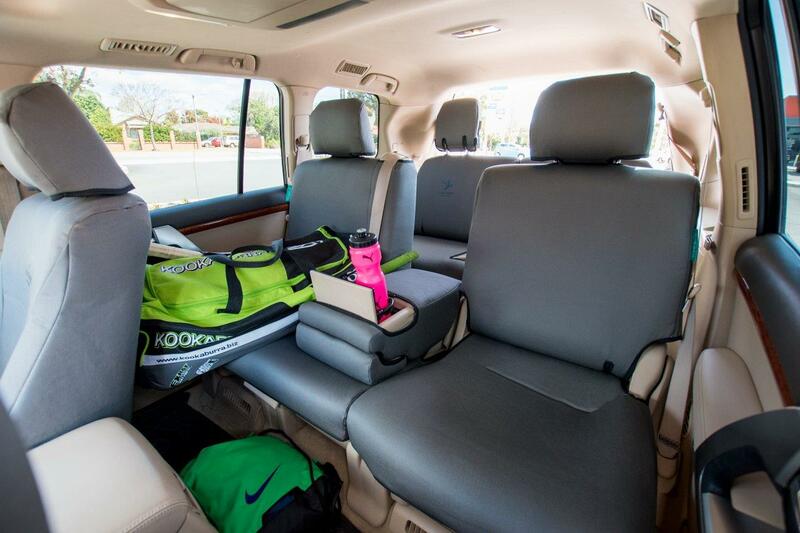 Seat Type: Dual Cab Complete front and rear set - incuding Driver & Passenger Buckets, PLUS the Rear Bench Seat. Suitable For: Toyota Hilux SR5 4X4 SR5 Dual Cab Utes. 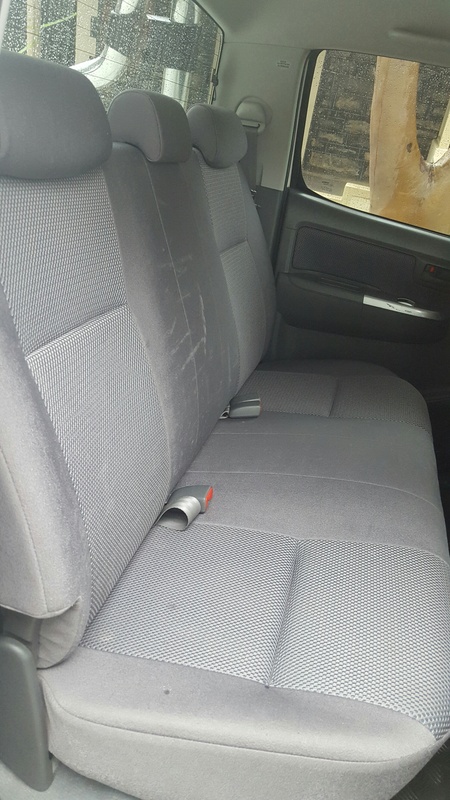 4x4 SR5 DUAL Cabs 08/2009 to 06/2015 NOT for 2014 with leather seats. 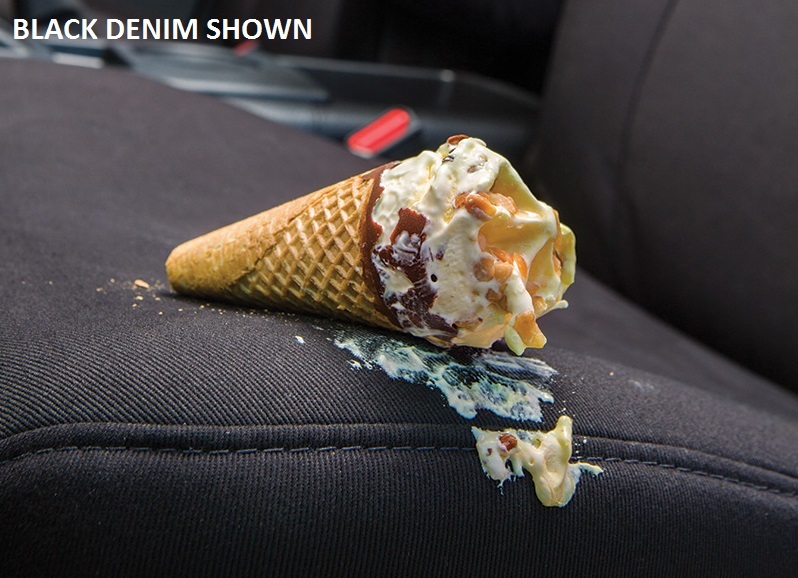 *All Bucket seat covers are supplied with a map pocket sewn onto the rear of the back cover unless otherwise stated. *All Headrests are supplied with covers unless otherwise stated. 100% Australian Owned and manufactured here in AUSTRALIA with the main R&D and manufacturing plant in Perth and another in Wangaratta Victoria, and shipped direct to our customers from the Perth factory. 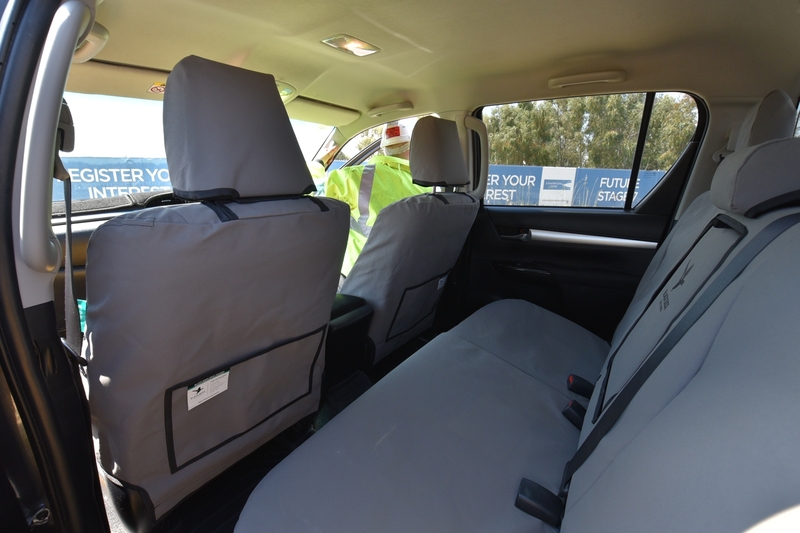 If you are not 100% satisfied with your Black Duck Seat Covers suitable for Toyota Hilux SR5 4X4 DUAL Cabs, we offer you a money back guarantee*, because Black Duck have 100% confidence that their product will add value to your investment! * Conditions apply. 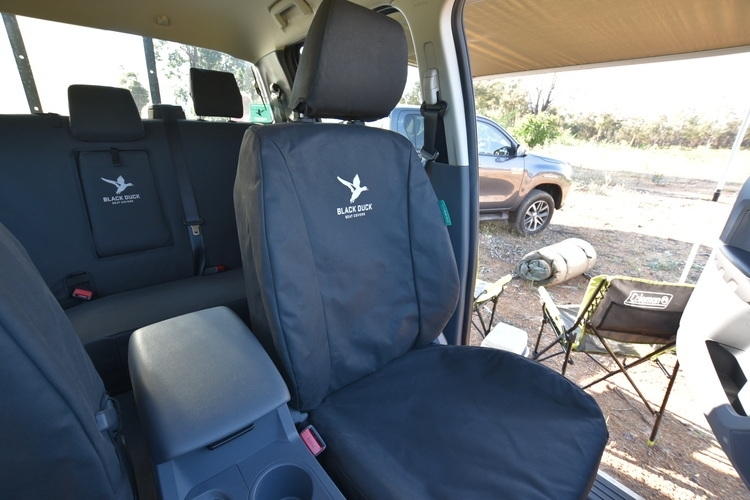 Introduced in 2015 you now have the choice of the tried and proven original Black Duck Canvas Seat Covers or the all new Black Duck Denim Seat Cover suitable for Toyota Hilux SR5 4X4 DUAL Cabs both with Black Duck's superior fit and quality, manufactured here in Australia. Denim covers are the same price as the canvas covers. So in effect Black Duck Denim offers the same Black Duck quality as Black Duck Canvas but with extra style and extra comfort! Now with the development of its new product range, the number of Black Duck fans is set to grow. 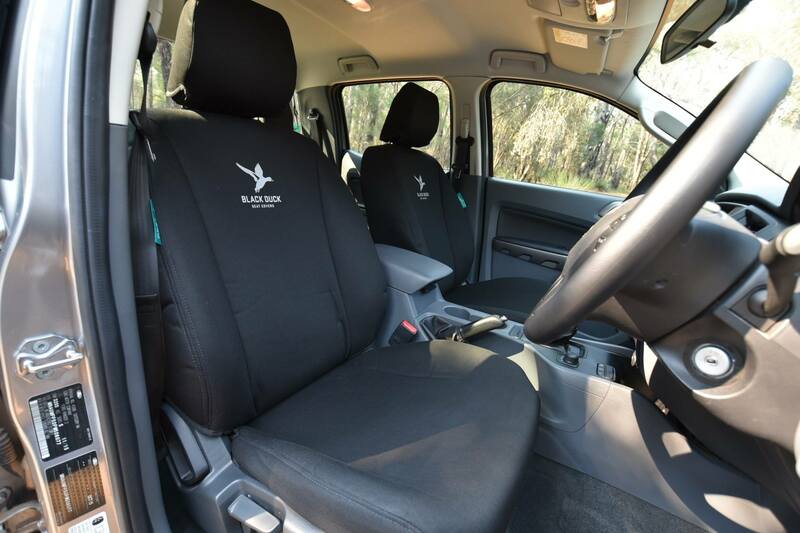 After all it makes sense, Black Duck Seat Covers whether your preference is canvas or denim, add style, comfort and long-term protection to your seats and are suitable for Toyota Hilux SR5 4X4 DUAL Cabs. 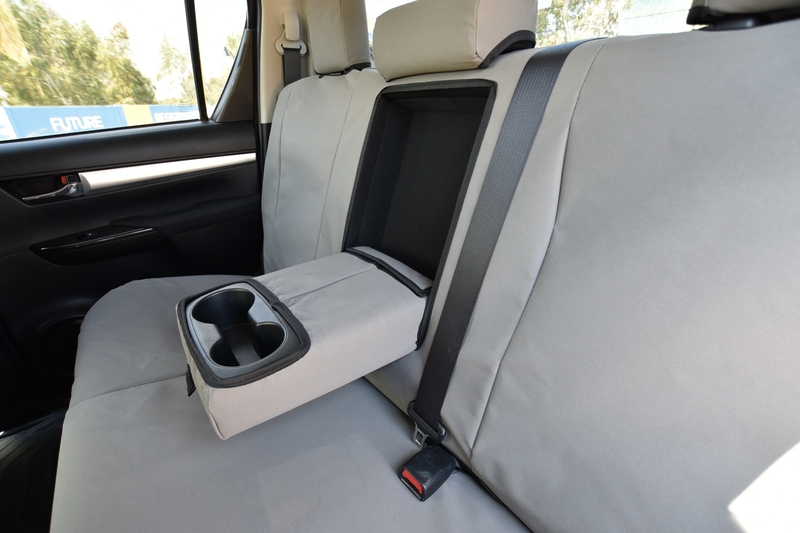 Miller Canvas are one of Australia's leading online retailers of Black Duck Canvas and Black Duck Denim Seat Covers suitable for Toyota Hilux SR5 4X4 Utes.